Many factors should be considered in the process of selecting a diamond. At World Trade Diamonds, we believe that the client should be well-informed about all elements involved in properly evaluating a stone. This knowledge, combined with your personal preference of shape and size, and the practical consideration of budget, will guide the way on the journey to finding the diamond of your dreams. To reach that goal, World Trade Diamonds, uses the concept of "The 8 Cs" to find the perfect stone for you. "The 8 Cs???" you might ask. Yes! You are undoubtedly familiar with "The 4 Cs" popularized in advertising over the years. World Trade Diamonds uses that concept as just a start. We then provide the benefits derived from our many decades of experience to educate the client, and with our superior connections and service, assure that you find the perfect stone. For example, many consumers mistakenly believe that "Cut" refers to the Shape of the stone. Or they might believe that "Color" and "Clarity" are most important in determining the overall beauty and value of a diamond. Some might think that "Carat Weight" is the only thing that matters. They then might make a purchase based on the "bragging rights" characteristics on a "Certificate" alone. Connections, Confidence, Curtis Miller. Professionals in the diamond trade, on the other hand, recognize that Light Performance, created by the combination of "The 4 Cs", is the determining factor in the beauty of a diamond. Our extensive Connections, experience, and service allow Curtis and World Trade Diamonds to achieve the ultimate goal of satisfying you, the "Customer", by locating the one perfect stone for you. So it takes all of “The 8 Cs” to fully inform your purchase experience. Contact us, and let’s get started in finding your perfect stone! “Cut” Refers to the angles and proportions of the facets of a diamond relative to each other. “Cut” is the 1st and most important of the 4 Cs, because it is the primary determinant of the amount of sparkle that you see in a diamond. After all, isn’t that why diamonds appeal to us? A well cut stone can improve apparent size, perceived color, and make inclusions less visible by virtually enhancing the positive property of the diamond.Due to the advent of computer technology it is now possible for a diamond cutter to determine where to cut facets to produce a diamond that has the optimum amount of light performance. These “Super Ideal” cut diamonds are of exceptional brilliance and beauty. Such modern round brilliant cut diamonds regularly display what is called a Hearts-and-Arrows pattern when viewed through a special viewer. There is no other material on earth that has the crystalline structure of a diamond. That is what makes them so unique. When looking at a diamond, the light you see enters from the top through the table and crown facets. The diamonds unique crystalline structure, as well as the relative angle of all facets, causes the light to refract off of the pavilion facets and return through the table and crown, to reach your eyes. Because of these optical properties of reflection and refraction, cutting releases breath-taking flashes of colorless light called “brilliance” and “contrast”, and multi-colored spectral displays, know as “dispersion”. This is the sparkle! A shallow or deep stone will “leak light” through its pavilion, and appear relatively lifeless and dull. In recent years, cutting technology has advanced so that certain extraordinarily skilled cutters, equipped with superior tools and facilities, can produce “Super Ideal Cut” diamonds of exceptional brilliance and beauty. The Hearts-and-Arrows pattern needs to be combined with superior proportions and facet consistency to show the ultimate in quality light performance, brilliance, and contrast across the entire stone, edge to edge. Curtis Miller, Inc. is honored to be one of less than twenty dealers in the world chosen to be a Select Dealer of Infinity Diamonds. Located in the historic heart of the diamond cutting trade, Antwerp, Belgium, Infinity Diamonds consistently devotes itself to the best Cut precision and light performance possible. For more information on Infinity Diamonds, please see our “Infinity Diamonds” Tab! “Color”, the 2nd C, refers to the presence of tint within the diamond crystal. 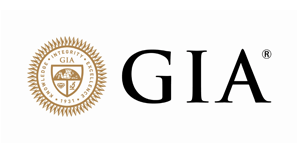 The GIA Color Scale, the standard for the trade, is alphabetic, beginning at “D”, which is called “colorless”. The saturation of tint increases all the way up to “Z”, with prices generally declining as you proceed. Color tints beyond “Z”, and those of exotic hue, are so rare, that they are called “Fancies”, and also command premium pricing. Color is most easily seen by viewing the stone un-mounted, face down through the side, against a pure white background. Face up, a well cut stone will appear whiter than its actual tint; conversely, a poorly cut diamond can appear lower in color than its laboratory grade. After a diamond is mounted, a color grade of “I” or higher will be perceived as white to the casual observer. Color tint is not always undesirable with many people preferring the warmth of a moderate color tone against their skin. Presence of fluorescence can enhance perceived color. The G.I.A. has documented the benefits of blue fluorescence, particularly in lower color diamonds. A diamond will glow blue under certain light if it has florescence. This quality isn’t so much a factor in value as a personal preference. These factors combined make Color selection a very personal decision. Most colorless diamonds should be secured in white metal settings, usually white gold or platinum, since a diamond absorbs and reflects back the colors adjacent to it. Tinted stones can sometimes find an advantage by being set in rose or yellow gold. Diamonds are made of carbon that was put under intense heat and pressure for millenniums. Think of a diamond as being made up of crystals all lined up like books on a library shelf. If some of the crystals are caught sideways, then they appear as inclusions. Those sideways crystals virtually interrupt the light coming to your eye, thus giving the impression of a flaw in the diamond. Inclusions in a diamond can be white or black. They can look like salt and pepper or like feathers or clouds. The 3rd C, “Clarity”, denotes the degree by which a diamond lacks these imperfections. A Clarity Grade refers to the size, position, and number of the natural inclusions inside a diamond. The freer from these natural “birthmarks” the diamond is, the rarer, and more expensive, it becomes. 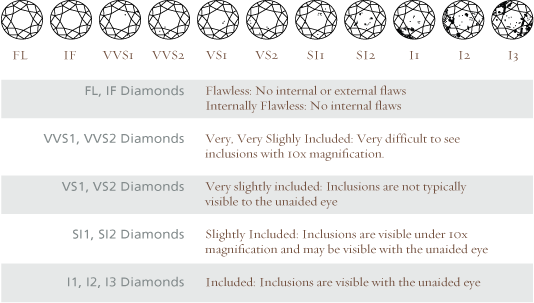 Clarity grades for jewelry diamonds range from “Flawless” (FL & IF) to “Very, Very Slight” (VVS) to “Very Slight” (VS) to “Slightly Included” (SI) and finally to “Included” (I). These grades are then generally subdivided into high & low categories. Clarity grading is done under 10X magnification under laboratory conditions. These designations are self explanatory. For instance, if a clarity grade is said to be “Very Slightly” (VS1) included then on can expect just that. The line of demarcation as to whether a stone is “eye clean” lies between VS2 and SI1.One can expect to be able to see an inclusion with the naked eye of an SI stone when one knows where to look. SI2 and “included” stones are apparent without the benefit of having seen the diamond under a loop. In a diamond, most internal inclusions and external blemishes have little effect on the brilliance, fire, and overall beauty of a diamond. So this is one area where the buyer can more easily exercise budgetary control. At the same time, this area has the greatest potential for the consumer to be able to buy “bragging rights”. For most viewers, “eye clean”, that is, inclusions not visible to the naked eye without magnification, is the minimum threshold acceptable for jewelry purposes. Once again, the 1st C, “Cut” demonstrates its power, because the fire of a well cut stone distracts the eye from seeing what might otherwise be visible to the naked eye. The clarity grade necessary to achieve “eye clean” status varies with the visual sharpness of the viewer, the quality of the cutter’s art, and the nature of the setting in which the stone is held. As a result, at Curtis Miller, Inc. we recommend that all stones be examined while still loose, so that Clarity can be easily perceived under magnification. These charts will give a graphical representation to demonstrate the clarity grades. The 4th C, “Carat Weight” is probably the easiest of “8 Cs” to understand. Put it on a scale, and weigh it! A carat is one fifth of a gram, and is the measure of weight used exclusively for gemstones. It should never be confused with karat, which is a measure of metal purity. Carat Weight is another one of the rarity-in-nature factors that affect the price of a diamond. Let us be clear, it is very important not to confuse Carat weight and apparent visual size. This points us back to the primacy of “Cut”, the 1st C. Diamonds, being 3 dimensional, can appear either larger, or smaller, than they actually weigh by being cut either too shallow or too deeply. But both these type cuts will “leak light” and appear relatively lifeless under good lighting. Cutters tend to cut too deeply in order to retain weight, so be mindful that the actual weight matches the apparent size. Well cut stones will return light “edge to edge” revealing the true diameter of the stone. All other things being equal, the greater the Carat weight, the rarer the diamond is, and therefore the more expensive it will be. This is especially true where the weight crosses the threshold of a whole number. Below is a graphical representation of diamond carat weights with approximately dimensions of diameter (D). “Certification” is the 5th C in your diamond quest. Though the term is not actually accurate, the proper term is “Grading Report”. Both titles are used interchangeably within the trade. Now, let’s face it! No one is going to wear a Certificate. They are going to wear the diamond itself in a piece of jewelry. The “bragging rights” associated with diamond certificates can be quite pronounced, and unseemly. But the presence of the Certificate can establish the independent verification of quality of a stone, much as having an A.K.C. pedigree can affect the value of a full breed dog. Certification refers to an independent laboratory document describing the gemological characteristics of the diamond that affect its quality, beauty, and value. The certificate itself does not give a monetary value, as that is often greatly influenced by local competitive factors. A certificate can also be useful for identification and insurance replacement purposes, so long as all aspects of the stone, including cut precision, are fully described and documented thereon. To that end, well informed consumers recognize that some laboratories simply have higher standards and consistency than others. 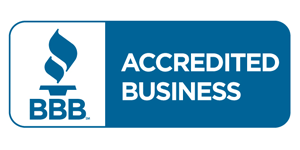 At Curtis Miller, Inc., we prefer certificates from the laboratories of either the Gemological Institute of America’s Gem Trade Lab (G.I.A.) or the American Gemological Society laboratory (A.G.S. ), and believe that their Grading Reports represent the benchmarks for the diamond trade today. The 6th C is “Connections.” Having been in the industry since 1979, Curtis W. Miller has established relationships with some of the trade’s most prestigious diamond cutters. This allows him to select the best diamonds to meet the needs of his valued clientele. We continue to have access to a massive database of diamonds, with and without Grading Reports, from which we can draw as required for your special needs. As a Select Dealer of Infinity Diamonds, Curtis Miller, Inc. now offers the exclusive capability of accessing the entire worldwide Dealer Inventory of these “Super Ideal Cut” Hearts-and-Arrows Round and precision crafted Princess Cut diamonds. We do not take the responsibility of selecting stones to present to our clients lightly, and are vigilant when sourcing such diamonds to be certain that they meet our strict selection criteria. This way we can assure that you are receiving the best diamond value possible. “Confidence” is the 7th C. When you visit the Curtis Miller, Inc. showroom, we will assist and inform you about every aspect of the diamond selection process. We will provide you with an ample selection of diamond options to assure that you get the greatest value, while meeting your budget, and satisfying your dreams. Since we primarily sell stones with Grading Reports from respected labs, you can be certain that you are getting a properly represented stone. Being a Select Dealer of Infinity Diamonds, one of the finest precision cutting houses in the world, it is possible to present stones with a range of quality that meets or surpasses all competitors. Should you choose an uncertified diamond from us, feel free to take it to a certified gemologist of your choice within 30 days for independent quality verification. Said certified gemologist should not be in the business of selling gems and jewelry, only evaluating and appraising them, to avoid potential conflicts of interest. If the stone is graded in writing as inferior to our guaranteed quality, we will promptly exchange it for another stone of your liking, or refund the complete purchase price for the stone. Come into our showroom for a friendly, professional, no obligation consultation, and let us discover together what your desires for a diamond are, and a comfortable way to achieve those dreams. The 8th and final C is “Curtis Miller, Inc.”. In purchasing your diamond from Curtis Miller, Inc., you have the opportunity to avail yourself of over 30 years of diamond industry experience. When selecting a precision Super Ideal Cut stone, such as an Infinity Diamond, or any other diamond selected from cutters around the world, at Curtis Miller, Inc. we make it easy to get the size, quality, and value you are seeking. Fine diamond products mean little without trustworthiness and confidential service, which is our pledge to you at Curtis Miller, Inc. We are firm believers in education as well. Our family owned and operated business is founded upon integrity, consistency, and superior value. These guiding principles are how we create customers for life. And don’t forget our exclusive Lifetime Trade-up Policy! After one year, any qualifying diamond purchased from Curtis Miller, Inc. can be exchanged for a credit of 100% of the original sales price upon the purchase of an upgraded diamond, in size and/or quality. Of course the stone must be in undamaged condition, and all Grading Reports and supporting documents must be returned with it as well. In this way you may be able, over time, to realize the dream that seems out of reach, for now, but not forever.